While small and midcap equity mutual funds generally tend to outperform large cap funds over a long investment horizon, the Reliance Small Cap fund has been an exceptionally strong performer in the small and midcap funds category and is clearly one of the best midcap funds over the last three to five years. If you invested र 100,000 in Reliance Small Cap Fund just three years back, your investment today (as on May 18, 2016) would be valued at over र 260,000. The AUM of the fund has grown nearly 4 times in the last 2 years itself. Please see the chart below for the trailing annualized returns of Reliance small cap fund for 1, 3 and 5 years, in comparison with the benchmark BSE Small Cap index. This fund is suitable for investors with high risk tolerance, looking for high capital appreciation over the long term. However, investors in this fund should be comfortable with high volatilities of. As such the fund is suitable for investors who have a sufficiently long time horizon. The fund was launched in September 2010. It has an AUM base of nearly र 2,000 crores. The expense ratio of this fund is 2.1%. The fund manager of this scheme is veteran fund manager Sunil Singhania, who is also the Chief Investment Officer of Reliance Mutual Fund. Amongst his peers, Singhania enjoys an enviable track record of wealth creation, with his stewardship of some the most successful equity schemes in the history of Indian mutual funds. The Reliance Small Cap Fund has been ranked 2 (strong performer) by CRISIL in its most recent mutual fund ranking. The fund has given 18.4% annualized returns since inception. Given the fact that, we went through two bear market periods over the last 6 years, the returns of Reliance Small Cap Fund over the past 6 years has been outstanding. The chart below shows the annual returns of Reliance Small Cap Fund over the last 5 years. Readers who follow our blog regularly know that, in Advisorkhoj, we believe that Rolling Returns is the best measure of a fund performance. Trailing returns have a recency bias and point to point returns are specific to the period in consideration. Rolling returns, on the other hand, measures the fund's absolute and relative performance across all timescales, without bias. Rolling returns are the annualized returns of the scheme taken for an investment period (also known as the rolling return period) on every day, taken till the last day of the duration. In this chart we are showing the annualized returns of Reliance Small Cap Fund (orange line) over a 3 years rolling returns period on every day from the inception date of the scheme and comparing it with the benchmark (black line). We are using a 3 years rolling returns period, because we believe that one must invest in equity funds, with a sufficiently long investment horizon, at least 3 years or more. The rolling returns chart of Reliance Small Cap Fund enables us to make some interesting observations about the fund performance. Firstly, readers should notice that the rolling returns of the fund have always been higher than the benchmark. This shows excellent performance consistency. Secondly readers should notice that the gaps in 3 year rolling returns of the fund and benchmark are very stable, since inception. This shows that a structured portfolio management methodology is employed by the fund manager. This is also an evidence of prudent risk management practises followed by the fund manager. Finally, what is remarkable is that for nearly 75% of the times since inception, the 3 year rolling returns have been above 25% on an annualized basis. This is quite a remarkable achievement on part of the fund manager. As discussed earlier in our blog, the rolling returns chart reveals qualities of the fund manager. The strong rolling returns of Reliance Small Cap Fund are not entirely unexpected, given the stature of Sunil Singhania as the fund manager, but nevertheless the rolling returns of this fund are quite outstanding by any standard. There is another interesting insight that we can draw from the three year rolling returns chart of Reliance Small Cap Fund. The common wisdom is said that small and midcap funds are very volatile investments. However, investors should understand that, volatility is also a function of the investment horizon. Over the past nearly 6 years, since the launch of Reliance Small Cap Fund, the market went through various ups and downs, including two bear market periods in 2011 and 2015 – 2016. However, you can see from the chart above that, the three year rolling returns of Reliance Small Cap Fund has not been as volatile, at least on the downside, as one would have expected, given that the fund falls in small and midcap category. In our blog post, What should be the percentage of mid caps in your mutual fund portfolio: Analytical Perspective, we had discussed that by adding midcap funds to their portfolios, investors with high risk appetite and long investment horizons, can get substantially higher portfolio returns, without increasing the risk in the same proportion. While midcap funds are intrinsically more risky than large cap funds, from a portfolio perspective midcap funds can enrich your portfolio diversification and thereby help you get better risk adjusted returns at the portfolio level. 2015 was the perfect example, where good midcap funds in your mutual fund portfolio, would have enabled you get good returns, despite the bearish conditions in the market. In 2015, many large cap funds gave negative returns, while Reliance Small Cap Fund gave over 15% returns. The portfolio has a bias for small and midcap stocks with nearly 95% of the portfolio stocks in the small and midcap segment. Even within small and midcap segments, about 72% of the stocks are in the small cap segment, while about 22% of the stocks are in the midcap segment. From an investment style perspective, the fund manager employs a combination of value and growth styles. In terms of sector allocations, the portfolio is heavily weighted towards cyclical sectors like Banks, Chemicals, Information Technology, Capital Goods, Industrial Products, Textiles, BFSI and Cement & Construction. In terms of company concentration, the portfolio is very well diversified with its top 5 holdings, accounting for only 19% of the total portfolio value. र 1 lac lump sum investment in the Reliance Small Cap fund NFO (growth option) in September 2010 would have grown more than 2.5 times by May 18 2014. The chart below shows the growth of र 1 lac investment in the Reliance Small Cap fund (growth option). A SIP investment the Reliance Small Cap fund would have performed even better. The chart below shows the returns since inception of र 5,000 invested monthly through SIP route in the Reliance Small Cap fund (growth option), since inception. The SIP date has been assumed to first working day of the month. The chart below shows the SIP returns of the fund. NAVs as on May 18 2016. A र 5,000 monthly SIP in the Reliance Small Cap fund (growth option) since inception would have grown to almost over र 7.3 lacs as on May 18 2015, while the investor would have invested a little over र 3.4 lacs. This means that on a cumulative investment of little over र 3.4 lacs, the investor would have made a profit of र 3.8 lacs in the last 5 years. This implies that the fund gave a SIP return of nearly 27% since inception, which is truly outstanding. Very few mutual fund investments give that kind of returns over a 5 – 6 year period. Investors who follow our blog regularly know that, SIPs can give outstanding returns over the long term for small and midcap funds, since they take advantage of the intrinsic volatilities of these funds through Rupee cost averaging of purchase price of units. 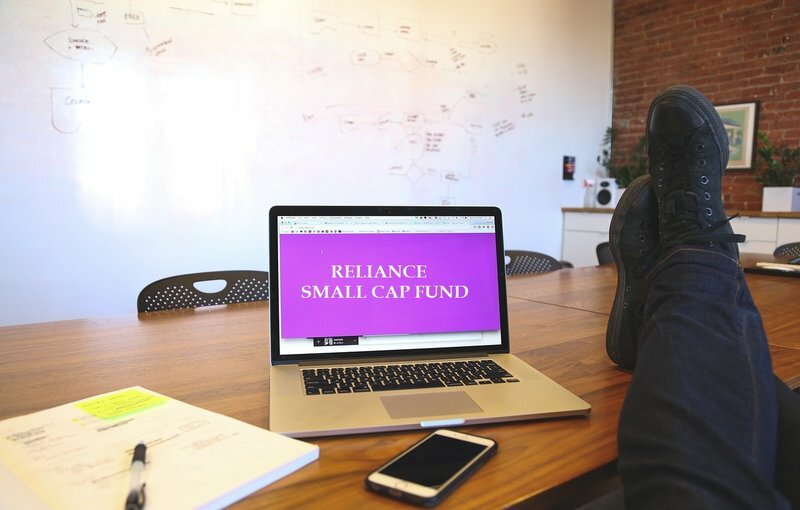 The Reliance Small Cap fund has delivered strong performance since its inception. With the improving sentiments in the Indian equity markets over the past couple of months, the fund can sustain its strong performance in the future. However, investors should note that, they need to have a long investment for Reliance Small Cap Fund. Investors with high risk tolerance can consider investing in the fund through the systematic investment plan (SIP) route for their long term financial planning objectives. Even though small and midcap funds like Reliance Small Cap fund can give higher returns than large cap or diversified equity funds, investors should also remember that the risk associated with small and midcap funds are higher. Investors should consult with their financial advisors if Reliance Small Cap Fund is suitable for their investment portfolios.